Vladimir Ilyich Lenin (episodes 70-72), born on April 22, 1870 is, in my opinion the number four worst ruler in Russian history. The founder of the Soviet Union, Lenin started Russia on a path that would lead to the deaths of tens of millions of people. While his toppling of the corrupt Tsarist regime, his ruthlessness and his putting Joseph Stalin in a position of power that would lead to terrible consequences, places him on this list. Born in Simbirsk, as Vladimir Ilyich Ulyanov to a wealthy middle class family, he became disenchanted with the Tsarist regime early on. 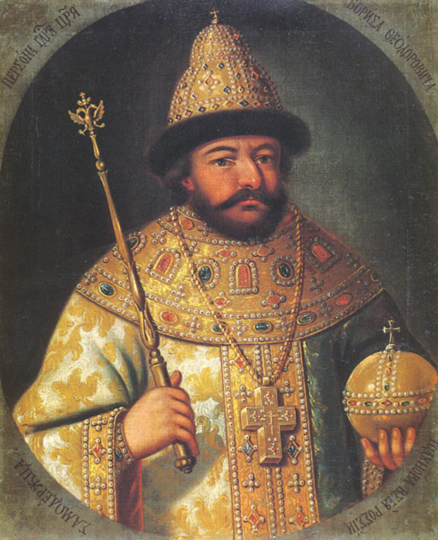 His radicalism became more fervent after his brother Sasha was executed during the reign of Tsar Alexander III. Lenin began to read more and more works of leftist writers like Karl Marx. The works that had the most influence on him were Nikolai Chernyshevsky’s novel What is to be Done? and of course Marx’s Das Kapital. In 1894, he met the love of his life, fellow radical, Nadezhda “Nadya” Krupskaya. Lenin was introduced to other leftists who he debated with as to the methods of overthrowing the Tsarist regime. Some wanted to assassinate the Tsar, others, like Vladimir, called for patience, insisting on waiting for the right moment. That moment happened in 1917 when Tsar Nicholas II abdicated the throne. Still the time was not right as the Provisional Government stepped into the void. 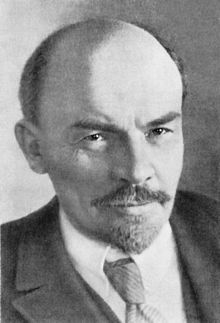 Biding his time, Lenin returned from self-imposed exile in Finland to lead the Bolshevik’s to overthrow the government in November. Consolidating his position, he ordered the murder of anyone with ties to the old Tsarist regime. He approved the execution of the entire family of former Tsar Nicholas II. The ensuing Civil War cost hundreds of thousands of lives due to the fighting and the ensuing period of famine. Lenin continued along the path of ruthlessly suppressing any dissent though the newly formed secret police, the Cheka. At the time, he was debating who to hand the power to after he died. The choice was either Leon Trotsky or Joseph Stalin. He unfortunately had place Stalin into positions that ultimately led to Joseph’s taking control after Lenin’s death in January of 1924. Lenin’s brutality and his misguided vision wrapped in his ideal of Marxism-Leninism led to great suffering in Russia. It is for these reasons I place him as one of the worst leaders in Russian history. Boris Godunov, was the ruler of Russia directly before the Time of Troubles. While this in and of itself is bad enough it is his 1597 decree which tied the peasants to the land, thereby officially legitimizing serfdom that places him on this list of worst Russian rulers. His rule though had a number of positives but his edict tying the peasantry to the land trumps any good he did. Born in 1551, Boris Godunov’s family was of Tatar origin being descendants of the Mongol Horde. We first learn about him in 1570 when he is mentioned as an archer of the guard during a campaign in Serpeisk. He became an oprichnik, a member of the secret police. Boris eventually married Maria Grigorievna Skuratova-Belskaya daughter of the head of the Oprichnina which benefited his career. Eventually Boris Godunov made his way into the court of Ivan the Terrible because of the marriage between Boris’s daughter Irina Godunova and the Tsar’s second son and future Tsar Feodor. It was an unusual match as Feodor was only 14 and Irina was 24 which was considered old for a marriage. It is likely that it was because of his feeble mindedness that a women of her age was chosen. 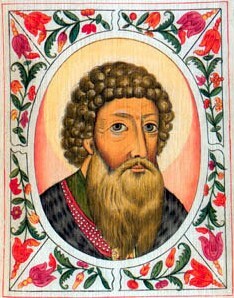 At the time of the wedding in 1580 Boris Godunov was elevated to the position of boyar. Before his death Ivan the Terrible, decided that a council led by Boris Godunov, Feodor Nikitich Romanov, Vasili Shuiski would guide his weak minded son. This effectively put a great deal of power into Boris’s hands as his daughter was the new Tsar’s wife. When Tsar Feodor died in 1598 there was one person who was left related to Ivan IV and that was his child Dmitri. The church did not recognize the relation as it was Ivan’s child from his 7th wife but Godunov took no chances. He had the child and mother sent into exile but a few years later the child died. The manner of his death, self-inflicted stabbing while having a seizure was questionable at best. A Zemsky Sobor was held to choose a new Tsar and Boris Godunov was selected. His reign, which lasted from 1598 to 1605 started out as a prosperous time but that changed with the famine times between 1601-1603. The Tsar was blamed for the bad times as many believed it was punishment for the murder of Dmitri. When Godunov died in 1605 few mourned his passing. The country quickly disintegrated into chaos and plunged into war against competing factions for control of Russia.